I’m not really a creative person and if anything takes to long I usually don’t attempt it. I’m always running here and there so if something looks complicated I just pass it up. 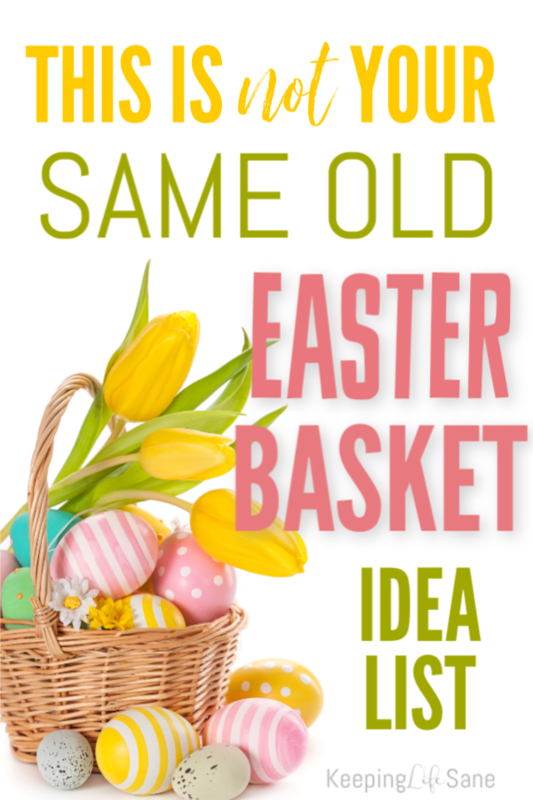 However, these Easter brownies are so simple and easy. 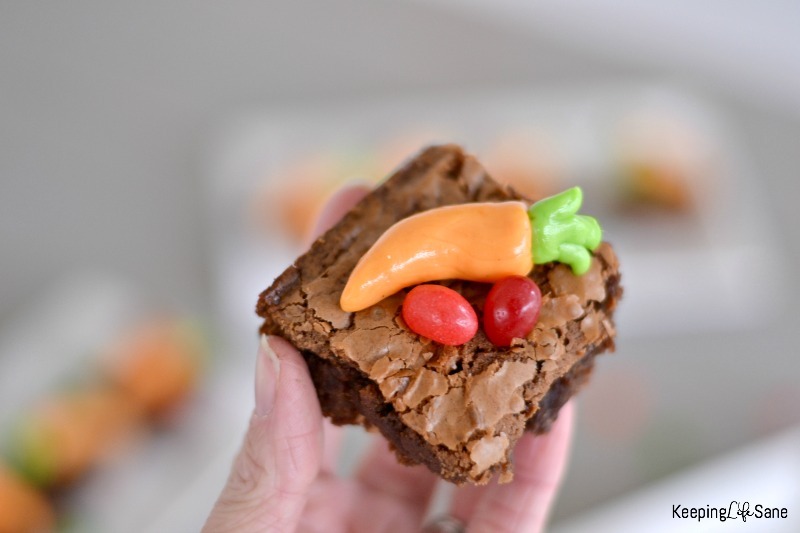 They’re perfect for Sunday School class or just a treat at the house. The kids can even do the decorating for you. Make brownies in 8″ X 8″ baking pan according to package directions and let cool completely. 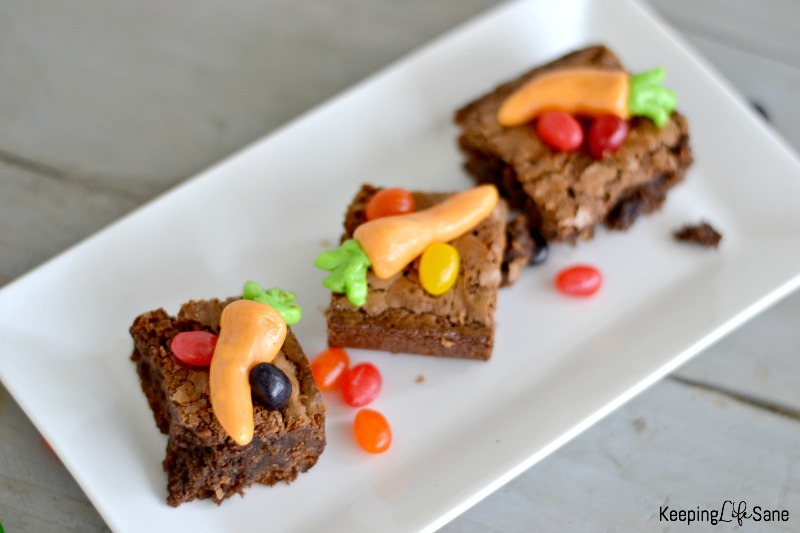 While brownies are cooling form orange Tootsie Rolls into carrot shapes. The more you work with them the softer they become and easier to mold. Slice each green Tootsie Rolls into 5-6 pieces and mold into a triangle. Using a sharp knife, make 3 slices into the largest side and press into the carrot to create the top. 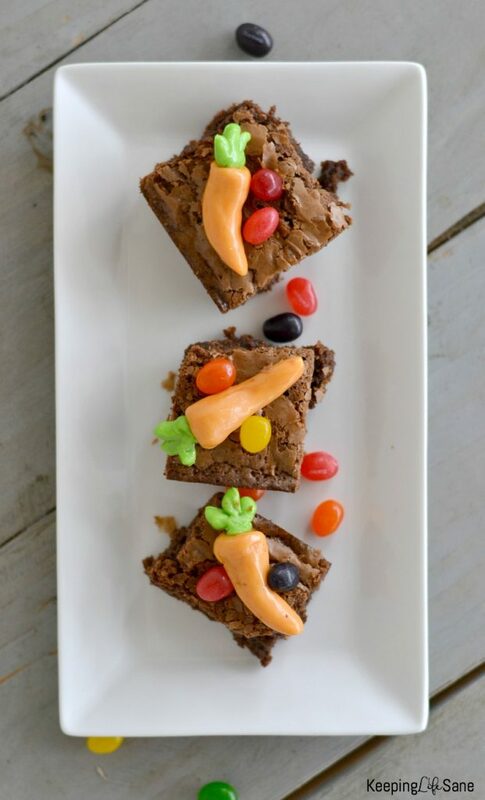 Add a carrot and several jelly beans to each brownie. These are adorable! I would have never thought to use orange and green tootsie rolls. Genius!